SCORM is the most popular format for creating eLearning courses. Professionals in the eLearning field use the SCORM term a lot and sometimes I wonder, do we really know “what is SCORM?” Do you want to know more about this popular term? Then keep reading. In this post I will explain what a SCORM is so you can have a basic understanding. This post is ideal for beginners or non-technical people who are starting in this eLearning world. Sharable Content Object (SCO) = is the piece of training. It could be a lesson, a slide, a module, a page. They are shareable, which means they can be uploaded into different platforms and they should work and run perfectly fine. 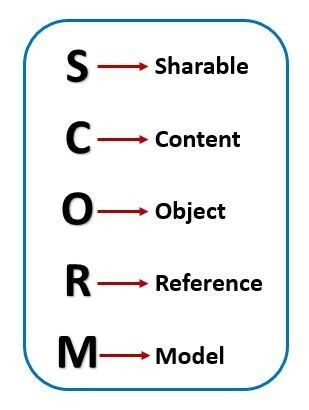 Reference Model = means that SCORM uses the different standards and specifications in the industry to indicate developers how to use all these standards. SCORM defines the rules, based on industry standards, to tell you how to create sharable content objects that can be reused in different learning management systems (LMS). SCORM tells programmers how to write their code, so that it can play well with other eLearning software. SCORM governs how online learning content and LMS communicate with each other. SCORM was ‘invented’ by ADL (Advanced Distributed Learning). ADL is an initiative of the US Department of Defense. They’re focused on research and development for learning science and technologies. 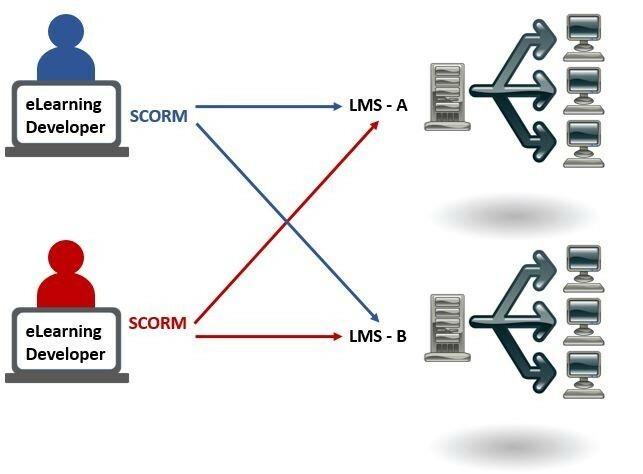 The SCORM standard was essentially created to address issues of interoperability and reusability that started during the transition from computer-based training that was on CDs to web-based training or eLearning. Do I need a SCORM? SCORM allows eLearning developers to distribute their content to different Learning Management Systems (LMS), and also allows the different LMS available in the market to manage courses created by different developers. For example, I create a course in SCORM format, then I use that same course and import it in different LMS and the course runs, looks and behaves in the same way in all the different LMS. This is something really good for the industry because there are companies developing eLearning content that can be purchased by anyone with a LMS. Many companies don’t need to develop eLearning courses in-house. They just simply buy SCORM packages from eLearning creators and import them into their LMS. As you can see in the image above, different eLearning developers create courses that are published using the “SCORM” format, then they can import their courses into different Learning Management Systems. The courses will run the same way in every LMS. 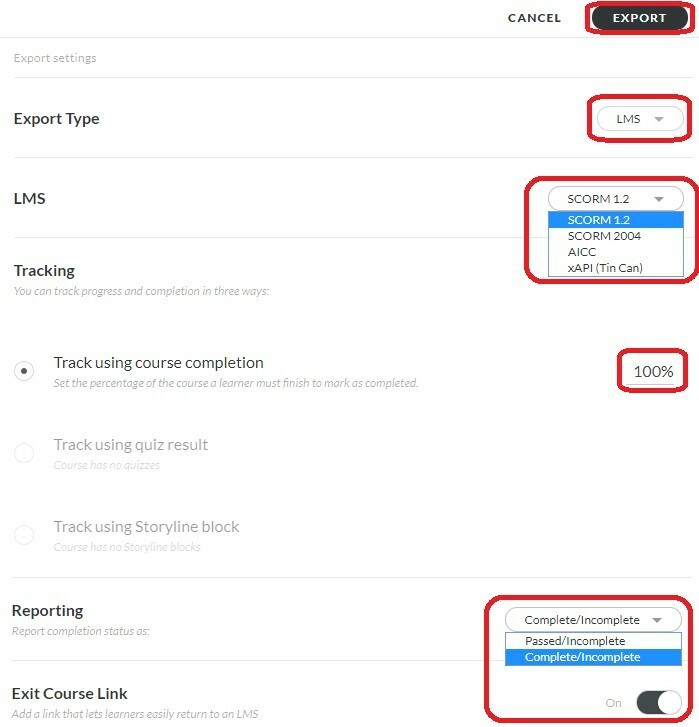 The different versions of SCORM manage the packaging of the content and the data exchange process at run time when the course is launched from the LMS. However, SCORM 1.2 and SCORM 2004 3rd Edition are the most widely used versions of SCORM. How do I create a SCORM? Experienced programmers and coders can create their SCORM packages, but now we have really good tools available in the market that will create the SCORM for us. These tools are called “Authoring Tools” and the most popular ones are Captivate and Articulate 360. There other authoring tools for specific functions such as Camtasia which is used for screen recordings and animated presentations, that can export into SCORM format. To create your own SCORM file, you just need to create your course using any of this authoring tools, similarly to what we did in the post “How to Build an eLearning Course”. Then you publish your course as “SCORM”, which will give you a ZIP file containing all the files of your course, images, interactions, codes, files, etc. This ZIP file is the SCORM file. And finally, you just have to upload that ZIP file into your LMS and enroll your learners. 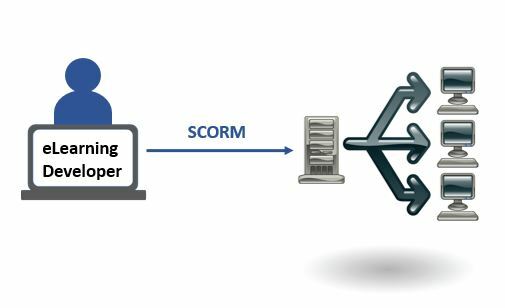 How does a SCORM look like? This example below is a SCORM created with Articulate Rise. My recommendation if you are beginning in this eLearning world is not to touch, rename, change or edit any of these files, unless you know exactly the change you are doing. In the folder “scormdriver” you will find very important files that are fundamental for the communication between the SCORM and the LMS. These files define the conversation or protocol of communication that will be established when you launch your course from the LMS. The folder structure may change a little depending on the authoring tool you use to build your course, but in general the files will be very similar in the naming convention and structure within the SCORM. What can I do with a SCORM file if I don’t have a LMS? If you don’t have a LMS, you can create a free account in SCORM Cloud and test your SCORM file. Alternatively, there are other LMS platforms that offer free accounts that are really useful to test SCORM files. Some of these platforms are Moodle or Moodle Cloud and Course Sites. There is also a plug-in in WordPress for SCORM files that is linked to SCORM Cloud so you can add courses into your own blog or website built in WordPress. As you can see, the possibilities are endless. The important thing is to get started and create courses, then slowly you will start learning and practicing different ways to deploy your eLearning courses. Hi, this article looks amazing. I am not good when it comes to technology though I am working on a parenting and learning website. Could You please tell me that is it beneficial for people like me too?